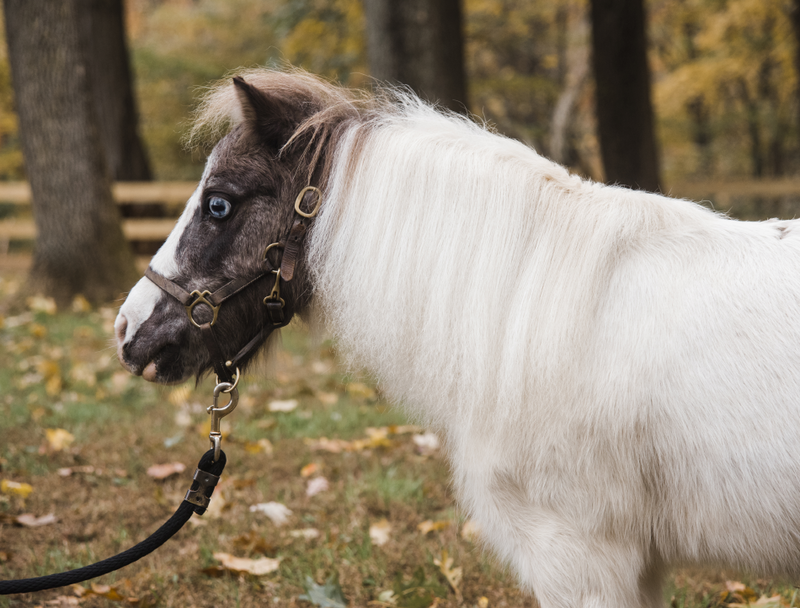 Pony Power is home to 22 seasoned therapy horses and ponies. All of our horses and ponies have been donated or rescued. Most have retired from the show ring or other work. Each has been screened to ensure quality of movement and temperament, essentials for safely learning riding and horsemanship skills. The cost to feed, house and care for ONE horse at Pony Power is $12,000 a year. With 22 horses, this is one of our biggest expenses. Our herd is our most valuable asset. Without them, we can't do what we do. 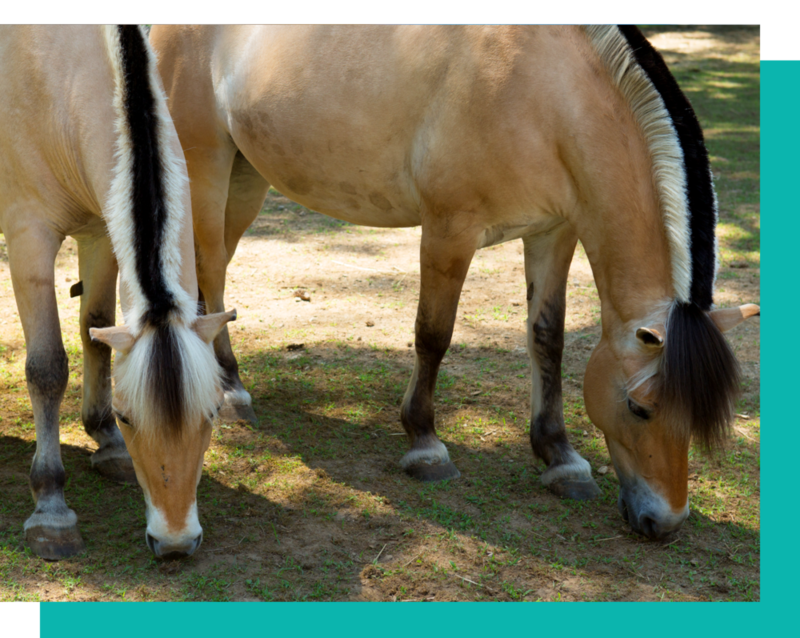 Providing our ponies with top-notch care allows them to provide top-notch services to our participants. Angel is the smallest member of our herd. Her size and sweet nature make her ideal for practicing skills like haltering and lead walking. 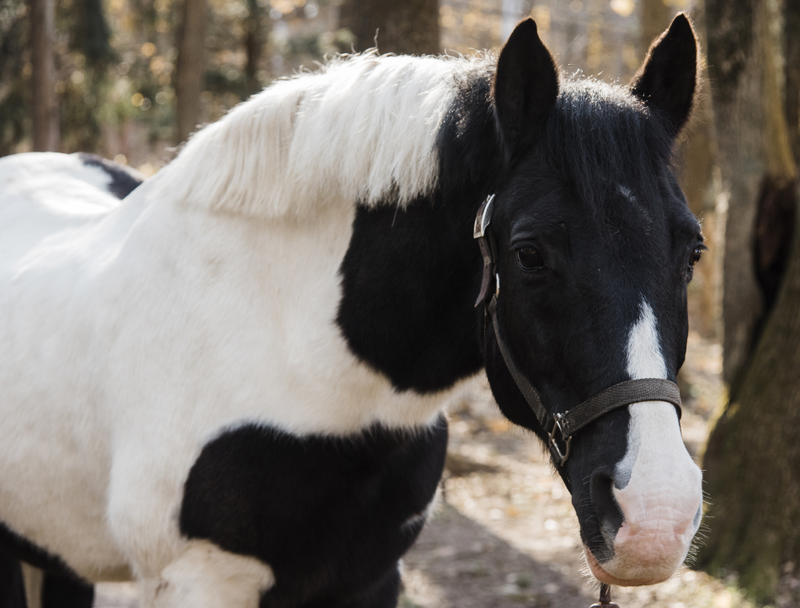 CC is one of our longest serving horses and is a very special member of our herd. 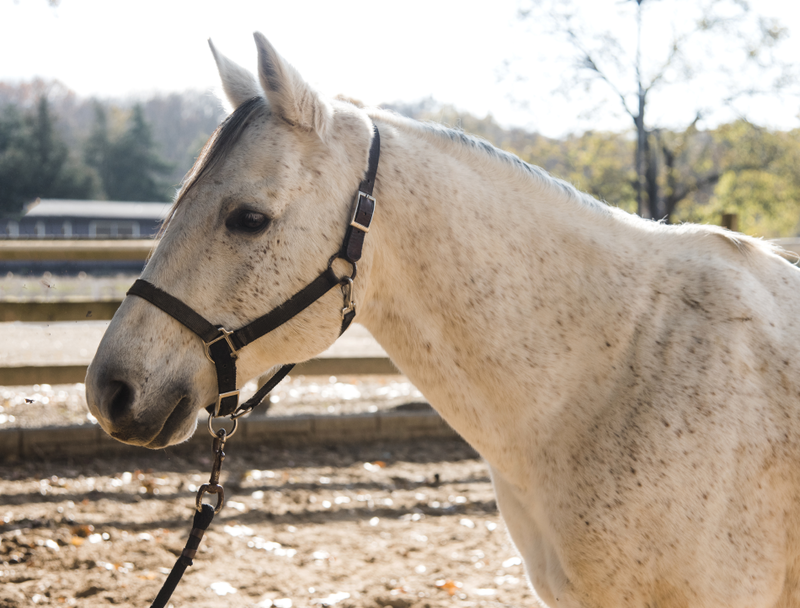 Originally a ranch horse, CC has an energetic gait and the sensitivity to anticipate seizures in riders. Evie is a Norwegian Fjord bred at Blue Heron Farm in Massachusetts. She was purchased by David and Susan Viniar in honor of David’s mother, Evelyn. Evie is a loving horse with a slow and steady gait. Larry (a.k.a. Matt) is a standardbred who once raced as a pacer. His unique, lateral gait brings a new type of input to his riders. Cheyanne is one of our longest serving ponies She’s a fixture in our non-riding horse-assisted learning and All HANDs In after-school programs. Charm is a Welsh pony with unique blue-brown eyes who loves attention. He’s a patient pony, who gives riders a smooth and consistent ride. Dixie is a playful Welsh pony who shines most when she works with our youngest children and those using wheelchairs. JD is a Welsh pony who was once a show pony. He’s an especially good match for riders who are closer to achieving independence. Jontjil is a Norwegian Fjord bred by Blue Heron Farm in Massachusetts and donated by a local doctor. He’s a favorite for his quiet temperament and versatility. Luna is a Welsh pony who loves people. Her small size makes her a perfect match for our youngest riders. Merle was once a companion for racehorses. He’s an excellent teacher for riders working toward independence. Pompi is a retired dressage horse. The discipline requires fluid and balanced movement, which makes Pompi a uniquely valuable member of our herd. Princess is a former show pony. This compact palomino has helped a number of Pony Power riders achieve independence. 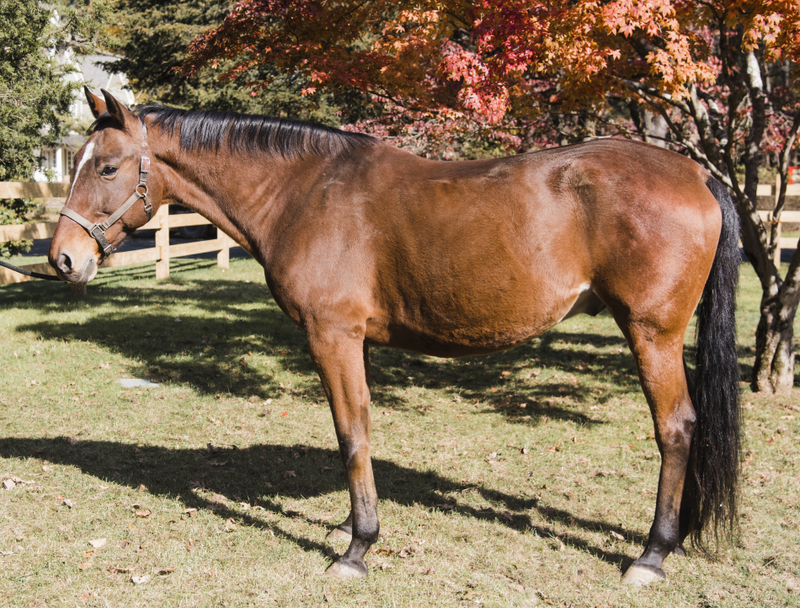 Promise is a thoroughbred who was once a brood mare. A sensitive horse, she’s especially good at teaching boundaries and respect. 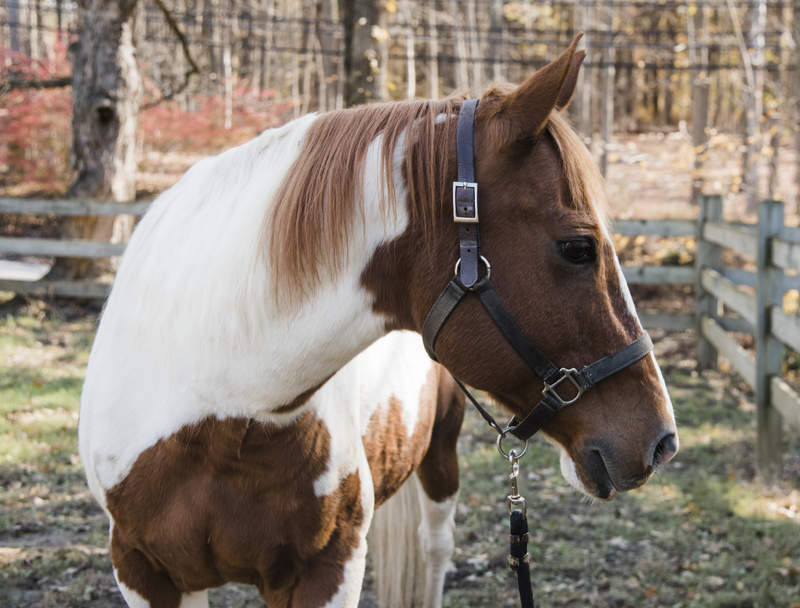 Rascal is a former show pony whose patience and versatility make him ideal for both riding and non-riding lessons. Red Hot is a Pony of the Americas. His naturally forward walk gives his riders a fun, high-input ride. Remy is a Norwegian Fjord bred by Blue Heron Farm in Massachusetts. Her mother is our very own Evie. She was donated with Jontjil by a local doctor. Vinny is a Norwegian Fjord bred by Blue Heron Farm. He was purchased by David and Susan Viniar in celebration of Leo “Vinny” Viniar’s 90th birthday. Tanner is a Fell pony, a working breed that originated in the north of England. Tanner has a quick, but rhythmic pace at the walk and trot. Dancer is a buckskin Quarter Horse with a Western-style competition background. 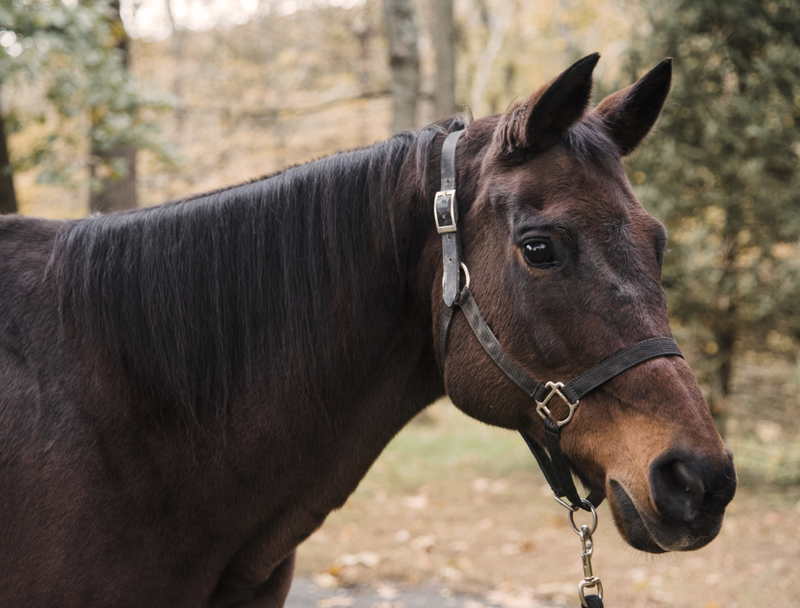 She’s affectionate and connects well with people and other horses. Westie is a former show pony who is prized for his calm demeanor and steady, rhythmic walk. In addition to our 22 horses, we also have 6 chickens, 3 goats, 3 beehives and 2 pigs. Our beehives are located at the north end of the property. Each hive has its own queen and together they number approximately 40,000. We supplement their diet with sugar water during colder times of the year but as the weather becomes warmer, they forage out in nature. We also have a built-in observation hive so school groups and summer participants can see the queen and her worker bees in action. All 6 of our chickens were donated. Five breeds are represented in their brood. Raised together, they are named after writers, performers and one of the donor’s relatives: Altagracia, Isabel, Agatha, Barbra, Shakira and Missy. Fun fact – you can tell what color egg a chicken will lay by looking at their earlobes! Ours lay brown, green and light blue eggs. An American La Mancha goat, Fred and his brother George are easily recognizable by their small ears that favor the shape of a human ear. Fred loves to cuddle first thing in the morning! 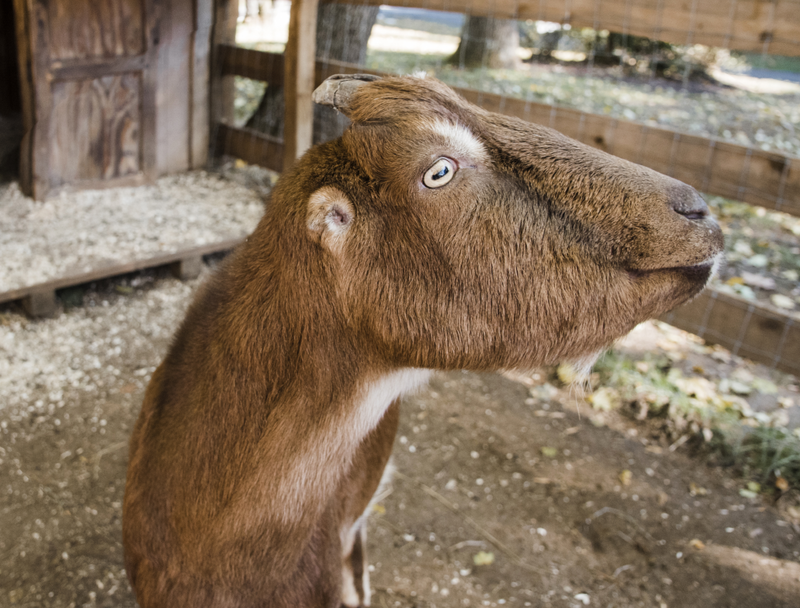 George, an American La Mancha goat like his brother Fred, walks happily around the farm on a leash. A Nigerian dwarf goat, Nicholas is arguably the friendliest of the herd. He’s always happy to scale the fence rails so little hands can more easily pat him on the head. Our 2 pigs, Piper and Ziggy are sisters. They’re Vietnamese pot-bellied pigs, which are an endangered traditional Vietnamese breed of small domestic pig. Their diet consists of plant-based scraps from staff lunches and homemade chow of lentils, beans, brown rice, barley and oats. The girls respond to their names and enjoy wallowing in the mud on hot days. Like the goats, the pigs are a popular feature of our school group, after-school and summer programs.